Who knew that a 72 mile section of the Mississippi River that flows through the Twin Cities is home to the Mississippi National River & Recreation Area (MNRRA) National Park Unit… the first and only national park unit along the Mississippi River? And who knew that local map artist, Lisa Middleton, would see several of her historic maps featured on the big screen… again… in a new documentary to profile the national park unit? Lisa Middleton will exhibit a large collection of historic, hand-painted Mississippi River maps at the EDINA ART FAIR on June 3-5, and during ARTSPIRE in downtown La Crosse, Wisconsin, on June 11. The Friends of the Mississippi River (FMR.org) are on a mission to raise the profile of the first National Park on the Mississippi River. A new 30-minute documentary, titled “REBIRTH”, and narrated by MPR’s Steven Seel is being released to celebrate the National Park Service Centennial. While many folks have spent a great deal of time along the Mississippi River, most are unaware of its national park status, or the story of citizen advocacy behind its creation. REBIRTH” will air on TPT, the Twin Cities public station, Sunday, May 8 and 15, with subsequent online release . Many river lovers will immediately recognize that the film features hand-painted historic maps by La Crosse map artist, Lisa Middleton. 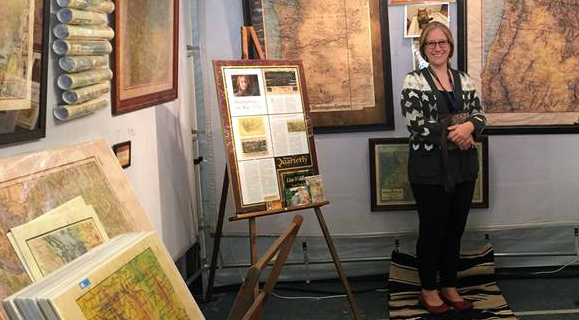 Co-producer, John Kaul discovered Lisa Middleton’s historic maps in Naples, Florida. 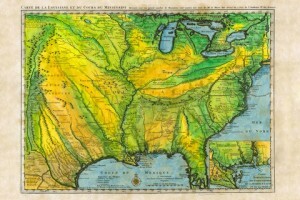 This entry was posted in Uncategorized, Fishing, Boating the Mississippi, birding, Upper Mississippi, historic maps, Historic Hand-Painted Maps by admin. Bookmark the permalink.